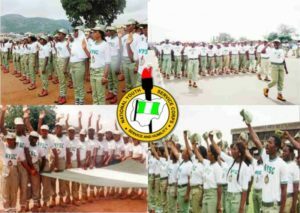 0.1 National Youth Service Corps, Orientation Camps, this is to help prospective Corp Members on how to find their way to their different orientation camps. National Youth Service Corps, Orientation Camps, this is to help prospective Corp Members on how to find their way to their different orientation camps. This is to bring to the notice of all prospective corp member that below is the address on how to locate the National Youth Service Corps Orientation Camps. 1. IMO: Coming from Owerri, take a bus from Ama JK to Nkwerre. Make sure that you’d tell them that you’re going to the NYSC camp. The distance from Owerri to the camp is like 40 minutes to 1 hour and the bus charge will be ranging from 300 to 500. Please, note that the only PCMs that should report to IMO state camp are those that are posted to ABIA and IMO state. 2. ANAMBRA: Coming from Onitsha, go to upper iweka and enter a bus going to Awka, as soon as you’d enter the bus, don’t forget to remind the driver or conductor that you’ll be stopping at the NYSC orientation camp in Umunya. When you’d get to Umunya, look for a bike man that’ll take you into the camp. The distance from Onitsha to Umunya is from 20 to 40 minutes and the total price might range from 300 to 500. Coming from Awka, go to unizik junction and enter a bus going to Onitsha, as soon as you’d enter the bus, don’t forget to remind the driver or conductor that you’ll be stopping at the NYSC orientation camp in Umunya. When you’d get to Umunya, look for a bike man that’ll take you into the camp. The distance from Awka to Umunya is from 20 to 30 minutes and the total price might range from 300 to 400. Please, note that the only PCMs that should report to ANAMBRA state camp are those that are posted to ENUGU and ANAMBRA state. 3. KANO: On your way to Kano state, tell the driver to drop you at Unguwa uku. When he stops, you’ll see buses waiting to drop people at Karaye camp at the rate of 500 to 700 naira, but if the driver didn’t stop you at Unguwa uku, then stop at the final bus stop, Sabon-gari park at new road and board a Keke to Bata for 50 to 70 naira, from there, find a bus to Kabuga park, when you’d get to Kabuga park, board a bus to Karaye camp. Please, note that the only PCMs that should report to KANO state camp are those that are posted to BORNO and KANO state. 4. JIGAWA: From Kano, take a bus going to Dutse, tell the driver that you’ll stop at the NYSC orientation camp in Fanisau, the journey will last for about 1 hour 30 minutes. The camp is located opposite an Army barrack. Please, note that the only PCMs that should report to JIGAWA state camp are those that are posted to YOBE and JIGAWA state. 5. BAUCHI: From the last bus stop in Bauchi, take a taxi to Muda Lawal park, then take another bus going to Wailo from the park. The NYSC orientation camp is located in Wailo. Please, note that the only PCMs that should report to BAUCHI state camp are those that are posted to GOMBE and BAUCHI state. 7. OYO: When you’d get to Ibadan, stop at Iwo road. From Iwo road, take a taxi of 150 to 200 naira going to Ojoo and tell them to drop you at Iseyin park. From Iseyin park, take a bus going to the orientation camp for up to 800 to 1,000 naira and be prepared for more that 2 hours journey. Please, note that the only PCMs that should report to OYO state camp are those that are posted to KWARA and OYO state. 8. DELTA: For those coming to Delta from Lagos and the whole of South West or Benin, enter Asaba bus or Onitsha bus and tell the driver to drop you at Issele-Uku junction. When you’d get to the junction, cross the express and take a bike straight to the orientation camp, which will range from 70 – 100 naira. For those coming from Enugu and the whole of South east, enter Onitsha bus and stop at upper Iweka, from upper Iweka, enter Asaba bus from 150 to 200 naira and drop at Koko junction which is the last bus stop and from there you’ll see Issele-uku bus. Enter the bus and drop at Issele-Uku junction. When you’d get to the junction, cross the express and take a bike straight to the orientation camp, which will range from 70 – 100 naira. The journey to Issele-uku from Asaba is about 25 to 35 minutes. Please, note that the only PCMs that should report to DELTA state camp are those that are posted to BAYELSA, EDO and DELTA state. 9. ADAMAWA: From Yola, take a taxi to Vinikilang. From Vinikilang, you’ll get a Keke straight to the camp. You can also take a drop that will carry only you or with your friends straight to the camp from whichever park you are arriving from. The price for a drop will range from 700 to 1,000 naira. Please, note that the only PCMs that should report to ADAMAWA state camp are those that are posted to TARABA and ADAMAWA state. 10. KATSINA: From Kano, board a bus going to Katsina, from the park in Katsina, you’ll get a bike straight to the camp, located at Mani road. Please, note that the only PCMs that should report to KATSINA state camp are those that are posted to ZAMFARA and KATSINA state. 11. NASARAWA: From Abuja, board a bus and stop at Mararaba, and take about 200 naira bus to Keffi and tell the driver to stop you at the NYSC orientation camp. Please, note that the only PCMs that should report to NASARAWA state camp are those that are posted to BENUE, PLATEAU and NASARAWA state. 12. CROSS RIVER: From Lagos and South west states, stop at Calabar and take a bus to Ogoja, take another one to Obubra and tell them to stop you at Obubra junction, and enter a bike of 150 to 200 straight to the NYSC orientation camp. From Abuja, enter a Calabar bus and tell the driver that you’ll be coming down at Obubra junction, at Obubra junction, enter a bike of 150 to 200 straight to the NYSC orientation camp. From Onitsha, stop at upper Iweka and enter IKOM motor, tell the driver that you’ll be coming down at Obubra junction, at Obubra junction, enter a bike of 150 to 200 straight to the NYSC orientation camp. Please, note that the only PCMs that should report to CROSS RIVER state camp are those that are posted to EBONYI and CROSS RIVER state. 13. SOKOTO: From the park in Sokoto city, get a bike man and tell him to take you to Wamakko. It will cost you from 150 to 250 naira, the camp is located at the left side of the road. Please, note that the only PCMs that should report to SOKOTO state camp are those that are posted to KEBBI and SOKOTO state. 14. KADUNA: From the Kaduna city, enter a bus going to Chikun local government, tell the driver that you’re going to the NYSC orientation camp. The camp is located at the Kaduna/Abuja expressway and costs 150 to 200 naira from the city. Please, note that the only PCMs that should report to KADUNA state camp are those that are posted to NIGER and KADUNA state. 15. KOGI: From anywhere in Kogi state, board a bus going to Kabba, stop at the last bus stop and board a bike to the NYSC orientation camp. Please, note that the only PCMs that should report to KOGI state camp are those that are posted to EKITI and KOGI state. 16. OSUN: From Osogbo, enter a bus going to Ede, as soon as they stop you, look for a bike that’ll take you straight to the NYSC orientation camp for the rate of 100 to 150 naira. Please, note that the only PCMs that should report to OSUN state camp are those that are posted to ONDO and OSUN state. 17. ABUJA/FCT: Stop at Jabi park, take a taxi or Keke to Wuse market and board a bus going to Kubwa village. The last bus stop is at Kubwa market, from the Kubwa market, the NYSC orientation camp is just a walking distance or you could just board a bike to the camp. Please, note that the only PCMs that should report to ABUJA/FCT camp are those that are posted to ABUJA/FCT. 18. LAGOS: From Ikeja, take a bus to Iyana Ipaja, when you’d get to Iyana Ipaja, take a bus to Agege or Iyapaja and tell the driver to stop you at the NYSC orientation camp. From Ojota, take a bus to Oshodi, from Oshodi, take a bus to Iyana Ipaja and stop at their last bus stop which is under bridge, take the road on the right where you were stopped and walk down straight or ask people around the bus stop where the nysc camp is located and they will direct you appropriately. From Oyingbo, take a bus going to costain, when you’d get to costain, take a bus to Ojuelegba, from Ojuelegba, take a bus going to Oshodi, from Oshodi, take a bus to Iyana Ipaja and stop at their last bus stop which is under bridge, take the road on the right where you were stopped and walk down straight or ask people around the bus stop where the NYSC orientation camp is located and they will direct you appropriately. Please, the only PCMs that should report to LAGOS camp are those that are posted to LAGOS. 19. OGUN: From Lagos, take a direct bus to Sagamu, when the bus stops, enter a bike straight to the orientation camp. From Abeokuta, take a bus to Sagamu, when the bus stops, enter a bike straight to the orientation camp. From Abeokuta to Sagamu is close to a hour. Please, note that the only PCMs that should report to OGUN state camp are those that are posted to OGUN state. Please Share With Friends Using The Facebook Share Button. Thanks!